You’ve heard great things about fishing in Branson, but haven’t been to the area before and aren’t sure where to start. You need a fishing guide. Fortunately, fishing guides in Branson are accessible and easy to find – and they’re good at finding fish. You just have to know what you’re looking for. TableRockLake, for example, is one of the best bass-fishing lakes in the Midwest, while LakeTaneycomo is a premier trout-fishing destination. You want to fish both lakes? No problem. Branson Guided Fishing Trips – Offers guided trips of four hours to eight hours on both TableRockLake and LakeTaneycomo. This service led by Rick Lisek is open year-round and rates start at $275 for the four-hour trip. Branson Guided Fishing Trips guarantees you’ll catch fish, or you don’t pay. This is one of the Branson area’s top-rated guide services, according to reviews on Trip Advisor. Call 417-224-5108 for more information. 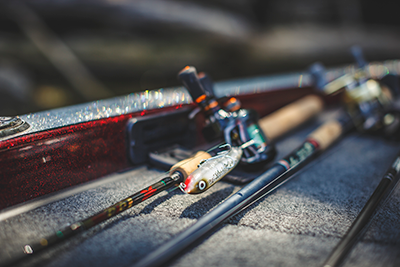 Fishing Guide Branson – Another top-rated guide service, based on Trip Advisor reviews, guide John Sappington brings his professional skills (he’s won nearly $800,000 in fishing tournaments during his career) to the waters of both Table Rock and Taneycomo. 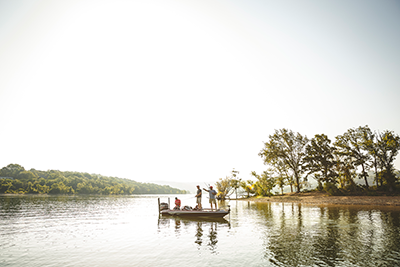 Offers four-hour and six-hour trips, with rates starting at $275, whether you’re fishing for bass on Table Rock or trout on Taneycomo. Call 417-434-2823 for details. Rainbow Chasers – Although the name implies a focus on trout fishing, Rainbow Chasers excels in catching bass and crappie on TableRockLake. And yes, you’ll get a shot at trout fishing on Taneycomo, too. Guide Tony Weldele has been working these waters since the early 1990s and knows where to find fish. Rates start at $250 per half-day, and Weldele also offers bow-fishing excursions for $300. Call 417-294-7335 for info. Rick’s Chauffeured Guide Service – Offering services on both Table Rock and Taneycomo, Capt. Rick LaPoint really knows the area and where to find fish. And he’ll get you to them quickly. Trip Advisor reviewer JBDifferent1 said, “Capt. Rick had us on the fish in 5 min. My uncle and I took a 4 hour trip with Capt. Rick, had our limit in 20 min.” Rates start at $275, though serious anglers may opt for the 12-hour “Iron Man” adventure, which starts at $525. For details, call 417-861-3899. 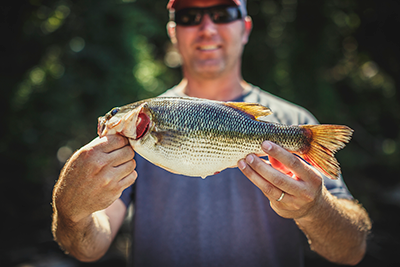 Whether you fish three times a year or three times a day, it never hurts to have a little help from someone with local knowledge and on-the-water experience. Learn more about fishing guides in Branson at ExploreBranson.com and make plans to create a memorable trip that includes only the truest fish stories.